Ok that’s a serious claim, but I think I found a true contender in the top coat game! Trust me, I’ve tried a lot of them! 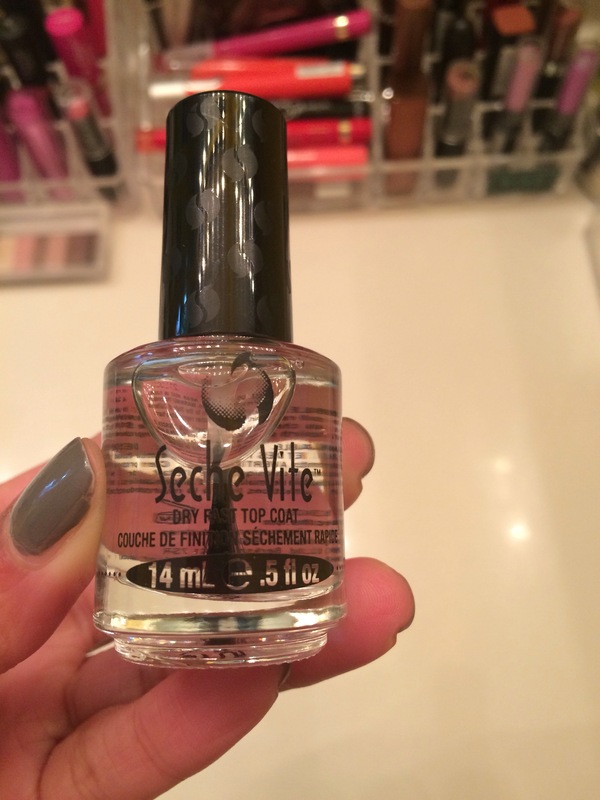 The latest one I’m using now is Seche Vite. I have no idea what the name means, but to me it means darn good top coat! It’s a quick dry top coat, and by quick dry, it means that it literally dries in a few minutes versus waiting forever and a day for your polish to dry! It also makes your polish super shiny, almost gel like! I’d also have to say it even extends the life of your polish. As we know, nothing stays on my nails without chipping, so I’m happy when I can get 2 days out of a polish! This one makes my polish last 2-3 days. Another super cool thing, I ended up getting this for free at Publix! It rang up for more than the price listed on the shelf, so when that happens, your item is free! Didn’t know that, but I’m glad I asked about the price because that’s one reason it took me so long to try this one, it’s about $9. To me, that’s a lot for a top coat, but now I see that it’s totally worth it! Have you tried this one yet? If not, you totally should! Let me know what you think! Thanks for reading!!!!! 😘 so the sticker on the shelf said 4.99 but it rings up for 8.99 so I had almost gotten it twice but the last time I told them the price said 4.99 so they checked and gave it to me free!